We’re in the midst of the largest infrastructure spend in Victoria’s history, with roughly $100 billion worth of engineering projects currently underway. This has seen unpresented rises in employment needs across the Civil Construction industry and now is the best time to capitalise on the boom and win as much work as possible, whilst you are able to. But what is the secret to winning as much work from major contractors, as possible? The differentiator that will set you apart is being able to show the contract holder that you have a well-thought out strategy around social inclusion and procurement. Every major consortium has targets to meet here and it is very much a big deal. 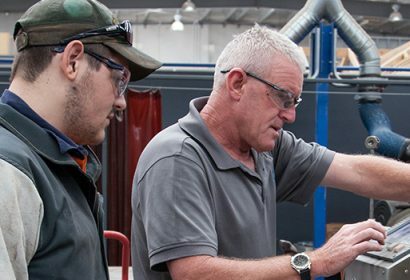 Major Contractors will be requiring their sub-contractor and supplier networks to help them meet their social inclusion and training targets under the ‘Major Contracts Skills Guarantee’. Sub-Contractors and suppliers that are able to clearly demonstrate their ability to contribute to these targets will be the companies that win the majority of the work they tender for. This means that organisations that invest in the recruitment of local people from culturally diverse and/or disadvantaged backgrounds, as well as employing trainees and apprentices will have a significant advantage over those who don’t. You may not feel the consequences of not creating and implementing a social procurement plan straight away as the need for work is at a high currently. However, if you are truly invested in the infrastructure boom, the secret is to ultimately invest in the right people. And this time the right people are the apprentices, disadvantaged and individuals from socially diverse backgrounds that are looking for a chance. Invest in them, you won’t regret it.